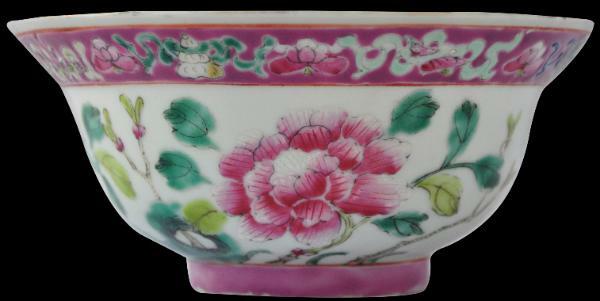 This pink and white bowl, of a good diameter, is enamelled with a phoenix and pink and green peonies, framed by a pink-ground border of lotus and Buddhistic emblems and a smooth, gilded rim. 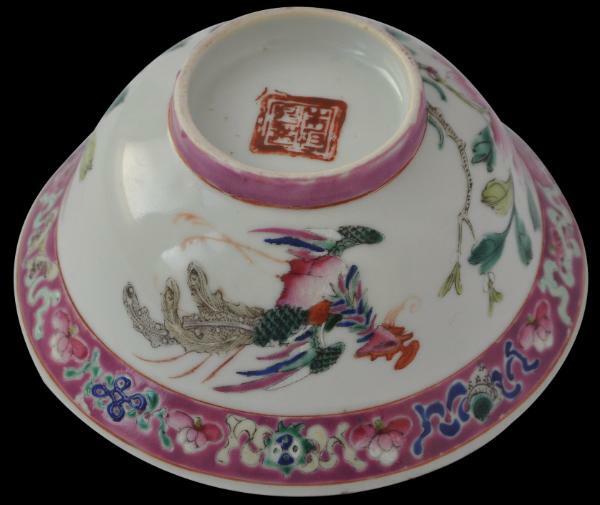 It has a shop mark to the base: it is almost indistinct, but probably is the Zhushunchang Zao factory mark. baba family for an elaborate Straits Chinese wedding. 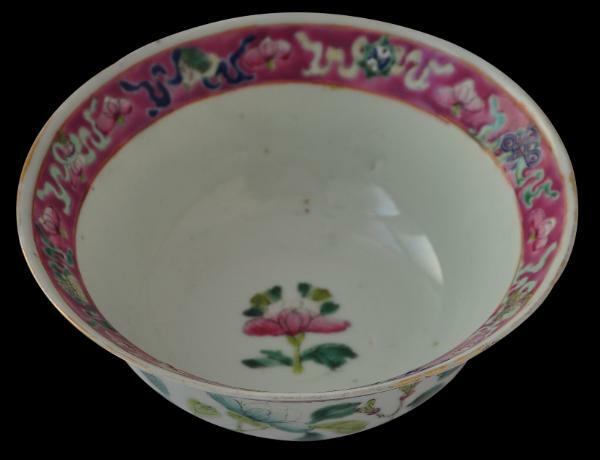 It is not a soup bowl; the Straits Chinese rarely had soup with their meals, and it is too large to have served as a tea cup. It might have served a s a small serving bowl or as a dessert bowl. Overall condition is excellent – there are no cracks, chips or restorations.